Australia's leading pure-play uranium miner, Paladin Energy , has been undertaking an extensive cost-cutting program. As a relative newcomer in Australia's legacy uranium industry, Paladin suffers from a comparatively high cost base, made no easier by the fact the company's two operating developments are in Namibia and Malawi. The company is also significantly geared. Thus Paladin has been burning cash at current spot uranium prices. The company attempted to sell off a stake in its premier Langer Heinrich project, but found no buyers at an acceptable price. 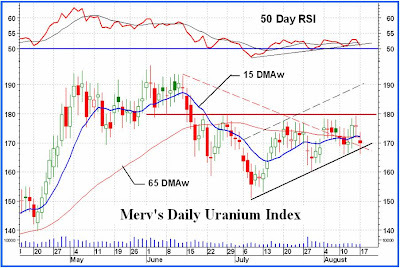 There followed a capital raising, but not to a level that offers a buffer against ongoing low uranium prices. Cost cutting has become essential. Still in Australia, Russia's state-owned Rosatom announced this week it was putting its Honeymoon uranium project in South Australia ? one of only four government approved uranium mines in the country ? on a standby setting, while halting further investment in uranium production worldwide. Kazakhstan is the global swing producer of uranium, boasting a level of resource that requires production volume controls in order not to flood the market and kill the uranium price altogether. State-owned miner Kazatomprom has announced it will now curtail any expansion of production and maintain output at 2013 levels. Cameco, Canada's globally significant uranium producer, has also announced cost cutting. Across the globe, the uranium supply side is being forced to respond to stubbornly weak uranium prices through project deferrals and shutdowns and general cost cutting. The response is potentially having some impact, given the spot uranium price has managed to tick up now for two weeks in a row. The connection is not lost on industry consultant TradeTech, who further notes the US-Russian HEU supply agreement formally came to an end last week. 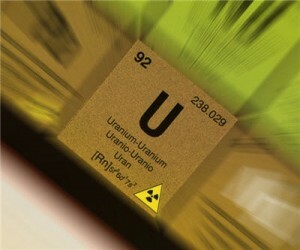 TradeTech reports a total of 900,000lbs of uranium changed hands in the spot market last week over seven transactions, with speculators moving into the buy-side and producers and intermediaries making up the sell-side. The result is a US75c increase in TradeTech's spot price indicator over the week to US$35.85/lb. The previous week the price bounced US85c off a low of US$34.25/lb. TradeTech's term market price indicators remain unchanged at US$37.25/lb (mid) and US$50.00/lb (long).